To reward the networks individual achievements with a five star experience to include evening graduation celebrations as well as five star accommodation for all 500 guests. 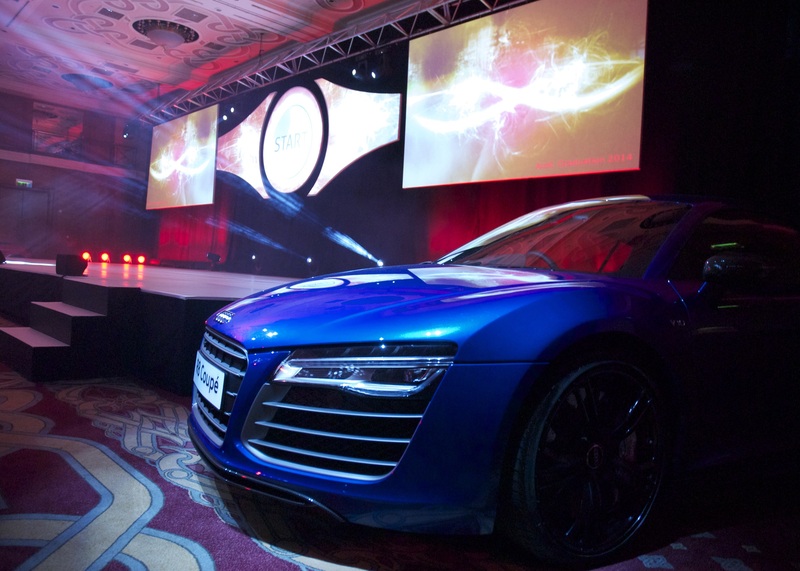 TMB Events worked closely with Audi UK to ensure a premium delivery from start to finish…. from initial creative concept, venue sourcing, managing the pre event organization, the invitation process, onsite event management to include production as well as post event reporting. The event was held at Celtic Manor Resort in Newport, South Wales providing the perfect five star experience for all guests. All certified guests were personally recognized and welcomed on stage by the Audi UK management team as well as the compere for the evening Peter Dixon, the voice of the X-Factor before partying the night away in style to Radio 1 DJ Trevor Nelson. Feedback from the event and its execution has been extremely positive. Audi UK were delighted with the result and TMB Events is looking forward to another successful graduation celebration!